In the Wine Bloggers Conference post, I mentioned I met one of my favorite people from the whole experience while on our Keuka Lake excursion. 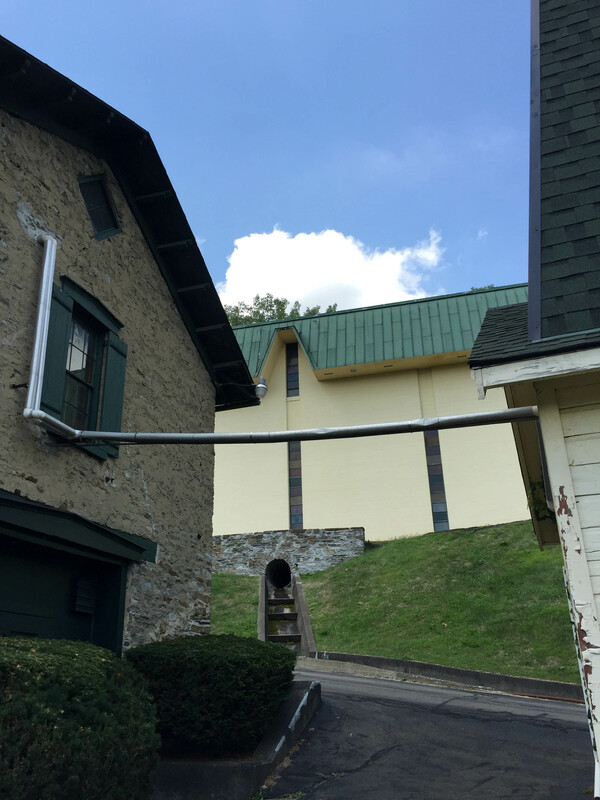 You might recall we were treated to dinner at the Pleasant Valley Wine Company, where we enjoyed a five course meal in one of the former cellars. 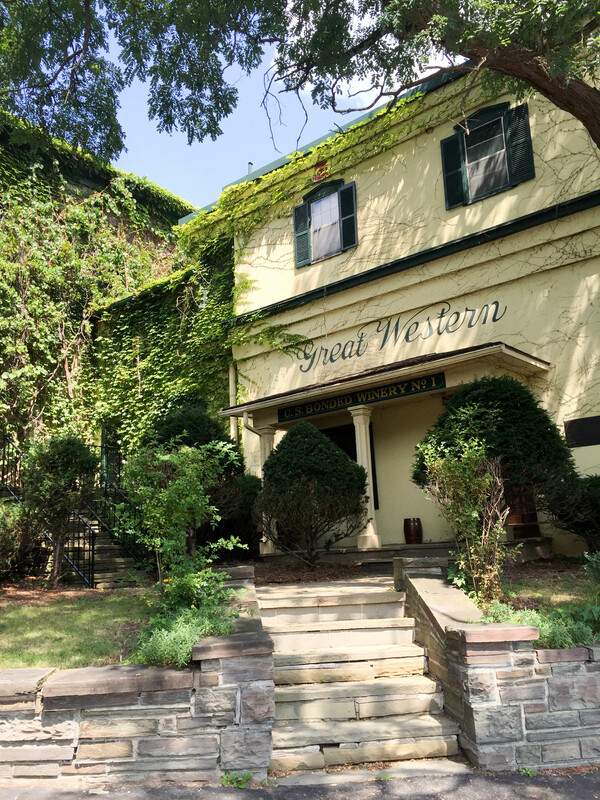 First established in 1860 by the Champlin family, Pleasant Valley Wine Company, also known as the Great Western Winery sits hillside about a mile from Hammondsport, New York on Keuka Lake. 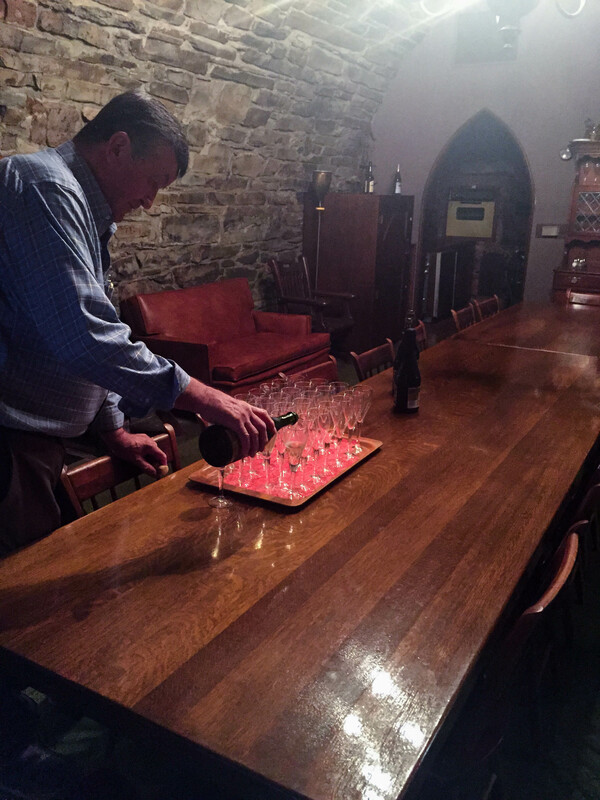 Upon entering we were treated to a glass of the winery’s American Champagne and given a brief history of the winery which has remained operational since its founding 155 years ago. I admit I only half listened to the brief oral history, I was too busy taking in the surroundings. 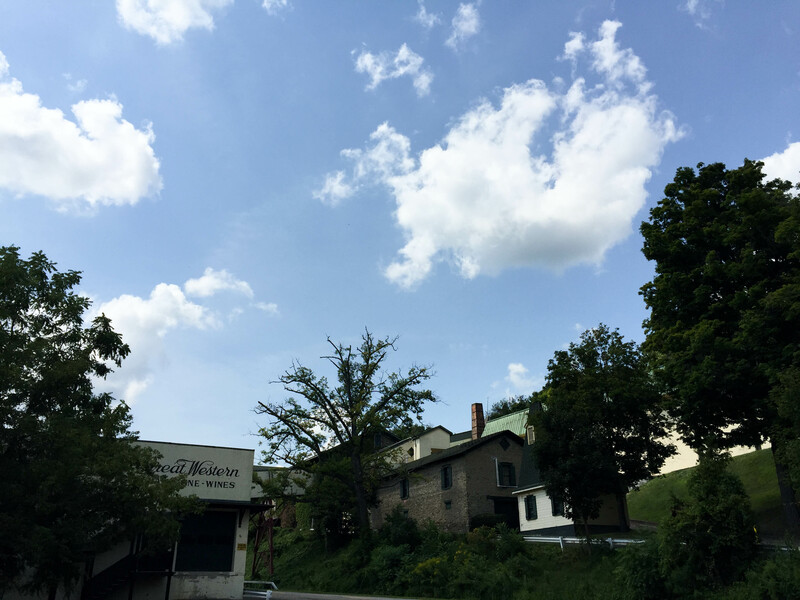 The architecture is representative of old European structures, lots of brick and rich woods. Multiple doorways lead in all different directions, into hallways, former cellars and offices, and on display some beautiful pieces of history like these Champagne glasses from 1890. Gorgeous! 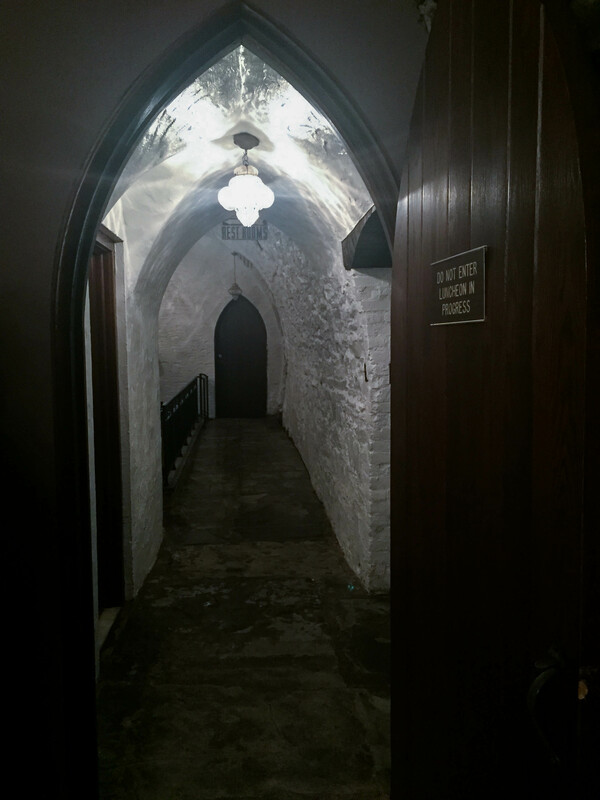 Before making our way to dinner, we were led through one of the lancet archways reminiscient of the gothic era, where we got a brief glimpse into the winery’s many rooms. 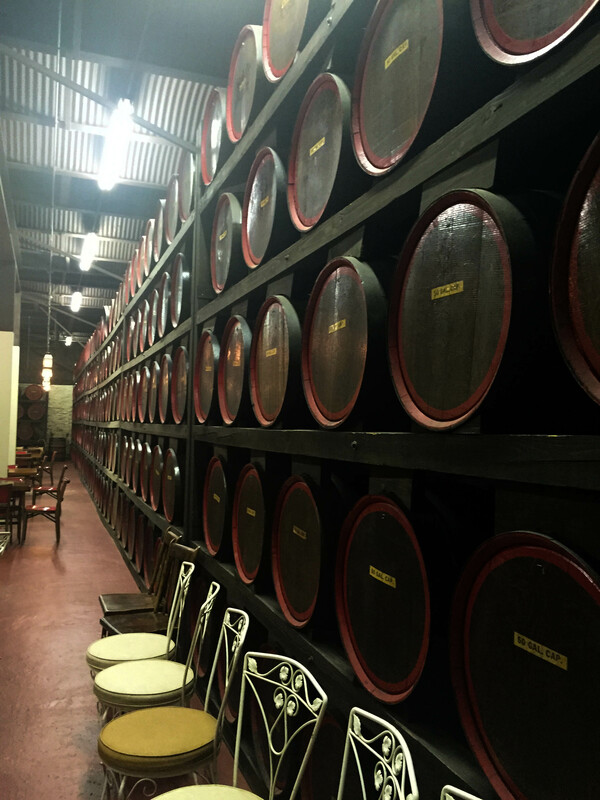 Private parties are held in unique space among the barrels, containing the winery’s Port and Sherry. 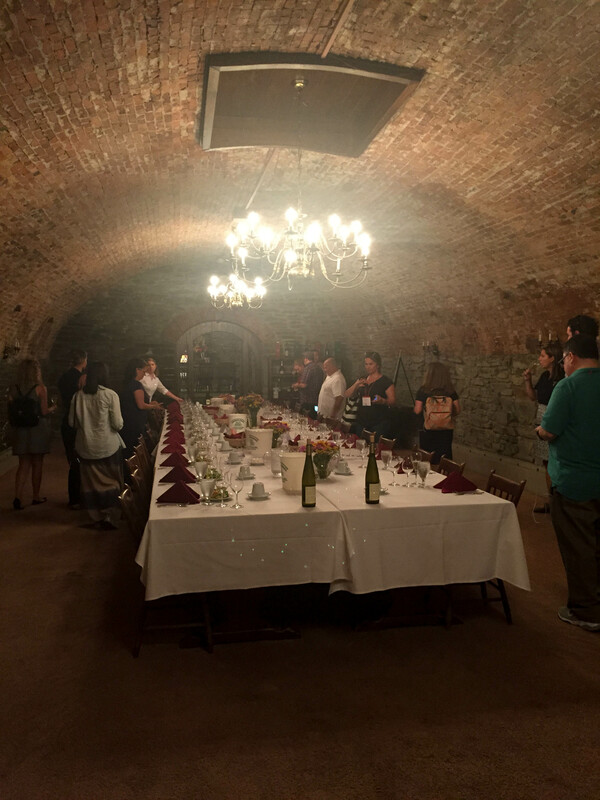 Then past the kitchens was the beautiful cellar dining space. It was here I was seated next to Mike Doyle. His son, Patrick, had been leading the brief tour. What I didn’t realize at the time, was that the Doyle’s own Pleasant Valley Wine Company, and have since 1995. Mr. Doyle and I initially made some small talk, which then quickly evolved into a more familiar conversation. It was apparent to me almost immediately how much I liked this man. He is warm, polite and has an ever-present smile. He also has a sarcastic sense of humor, which had me laughing throughout the meal. Mr. Doyle, Patrick and I talked a little about wine and work, but mostly about family and life. Mr. Doyle is a true conversationalist, and I don’t simply mean that he could spin a good yarn (which he could), but he also listened. He’s an astute observer with the ability to assess everyone in a room, and he listens in a way that makes you feel welcome and appreciated. In a word, he is genuine. As dinner came to an end, much to my surprise and absolute delight, Mr. Doyle offered to tour Mike, the kids and I through the winery. So we arranged for a visit on Sunday prior to our departure. When we arrived Sunday early afternoon, we met Mr. Doyle in his offices. Here he poured Mike and I mimosas. He also had two glasses of orange juice ready for the kids. Mr. Doyle immediately made Mr. N and Miss A feel right at home. He sat with them and talked about school, their hobbies and vacations. I could tell he had perused the blog as he had specific, personal questions for each of them. They were delighted! 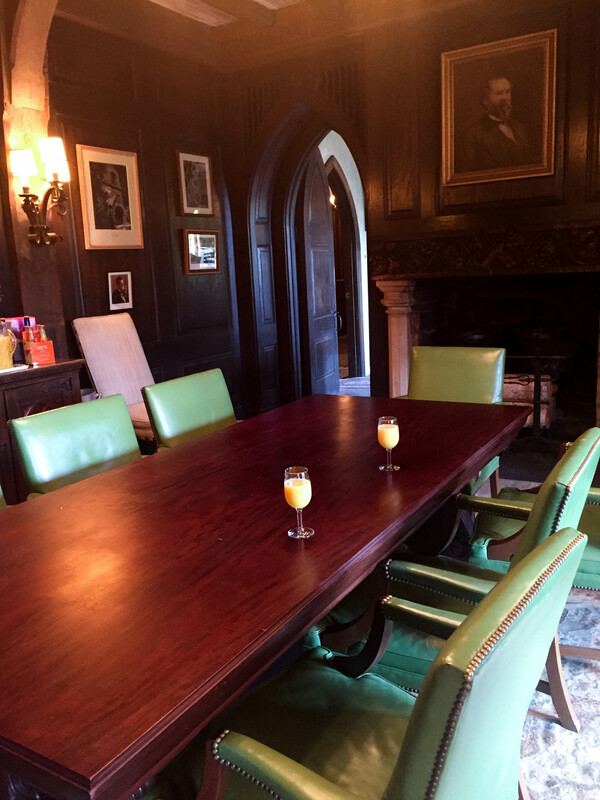 After a relaxing chat over orange juice and mimosas, we began the tour. Pleasant Valley Wine Company is comprised of eight buildings and is listed on the National Registry of Historic Places. 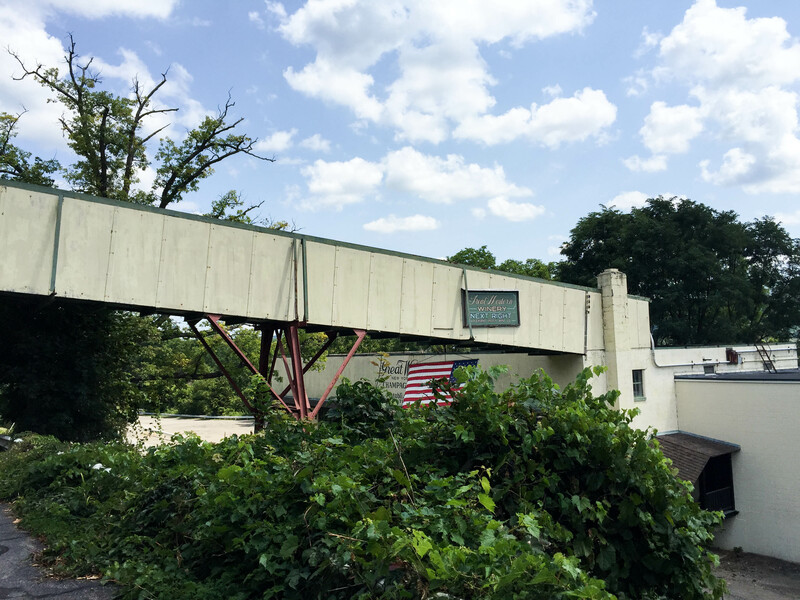 Unlike old wineries we’ve toured in other regions, Pleasant Valley survived prohibition. 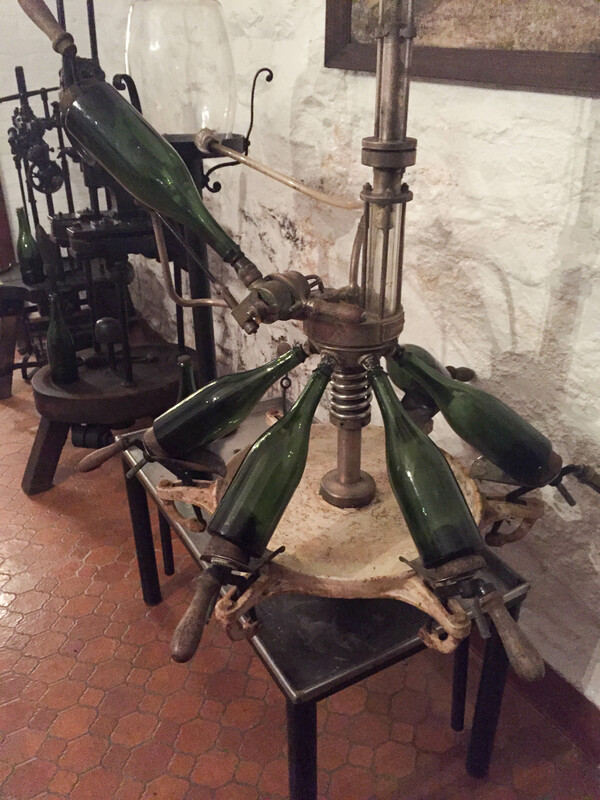 The winery remained operational through prohibition by producing sacramental sparkling wine. 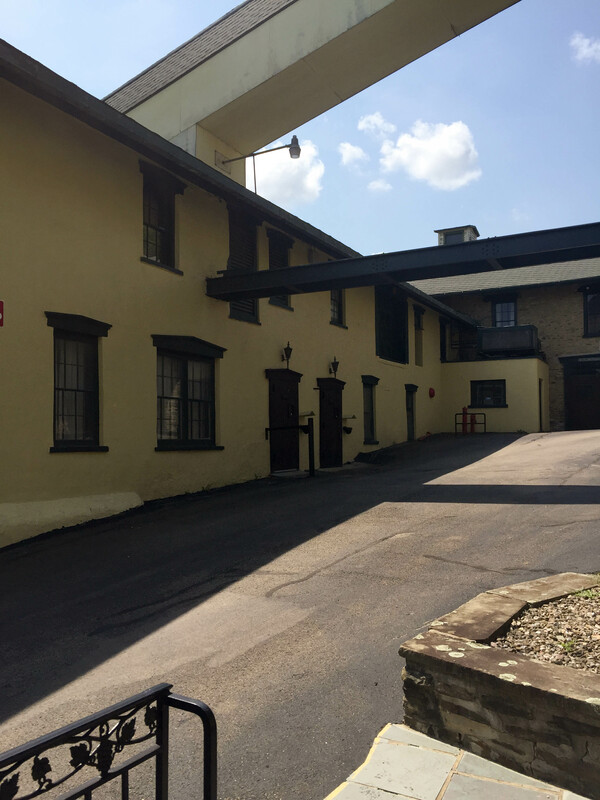 As noted earlier, the winery was founded by the Champlin family who ran the winery until 1955, when they sold their interests. In the years that followed, Pleasant Valley Wine Company was purchased by The Taylor Wine Company and was taken public. It was later acquired by The Coca-Cola Company, then Seagram and then Vintners International Company. 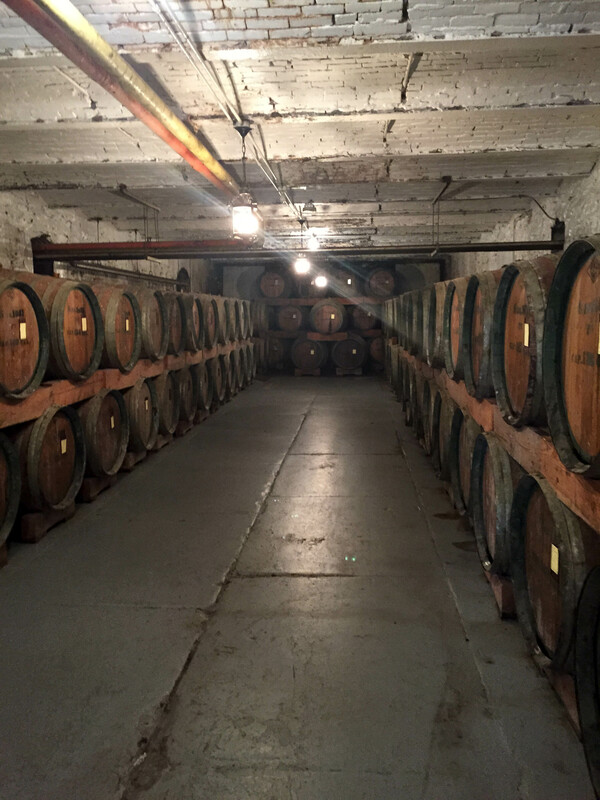 After a series of mergers and acquisitions, the Doyle family acquired Pleasant Valley Wine Company and again made it a private family run business. 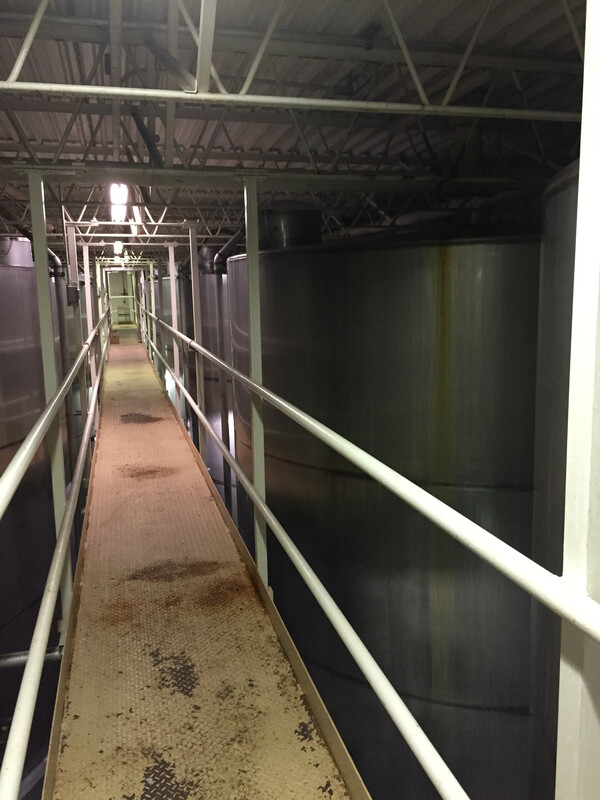 On our tour we walked through production areas, storage areas and cellars (built right into the hillside). Each room was more impressive than the last. 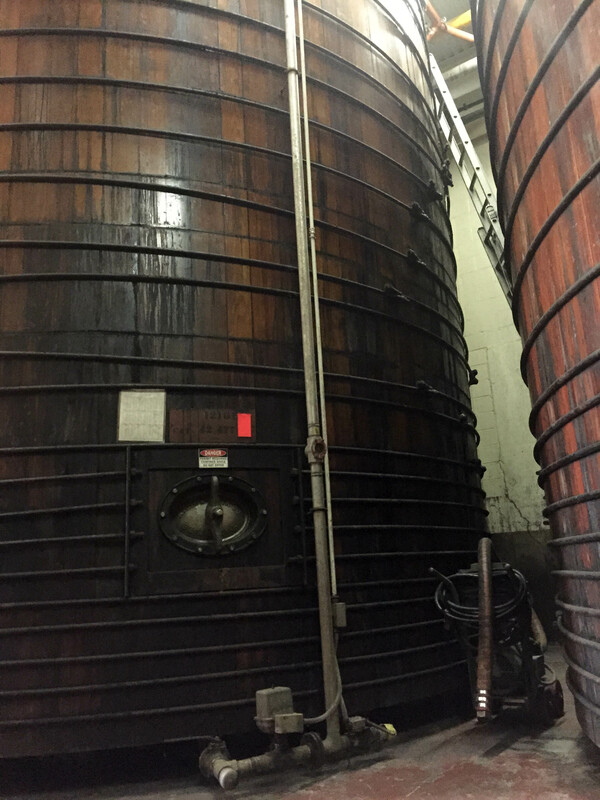 I mean where have you ever seen 40,000 gallon red oak tanks?! This was definitely a first for us. It seemed as though every doorway we walked through brought us to yet another production or storage room. From outside it’s nearly impossible to assess the true magnitude of this winery. 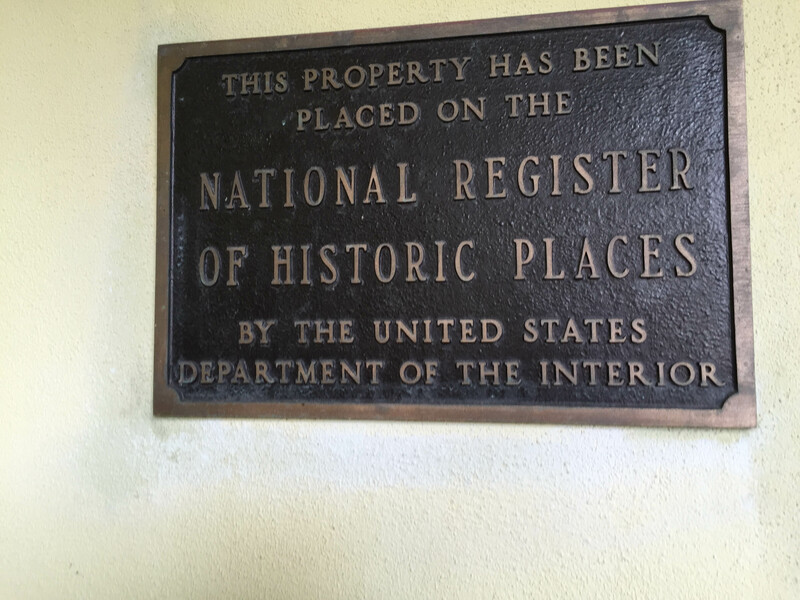 I asked Mr. Doyle the approximate square footage….450,000 square feet! That’s about the size of today’s massive distribution warehouses. I could hardly believe it. We have never seen a production facility of this size. The tour was fascinating and Mr. N and Miss A were having a terrific time. Miss A was enthralled by the catwalks and loved having a birds-eye view of the facility. She even told me she had always wanted to walk on a catwalk (having seen them in Mr. N’s theaters before). Mr. Doyle checked that off her list! As for Mr. N, you could see his imagination spinning. 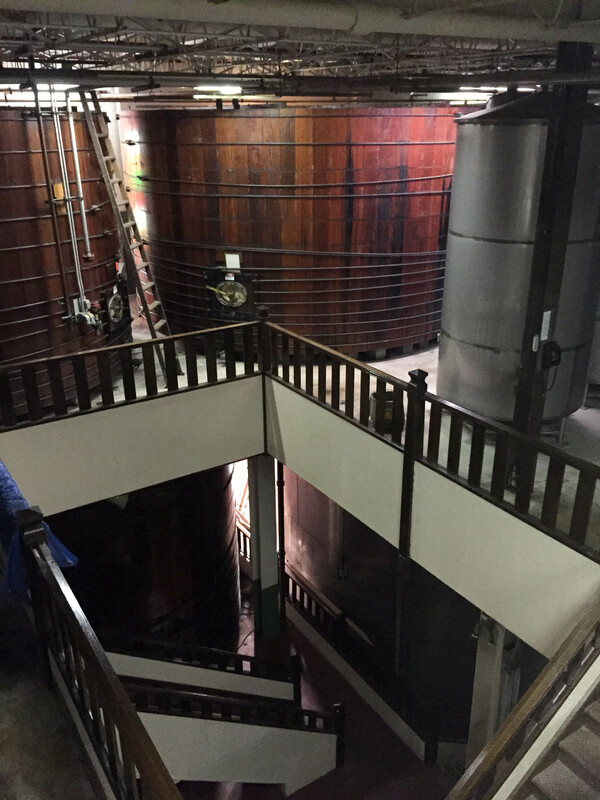 He was fascinated by the size of the winery, the mass of the barrels and the sheer number of rooms. He told Mr. Doyle this would be the ultimate place to play hide and seek. Mr. Doyle laughed, his sons used to do that while he worked. Now if that didn’t light a spark in Mr N’s eyes! Mike and I were also in awe. 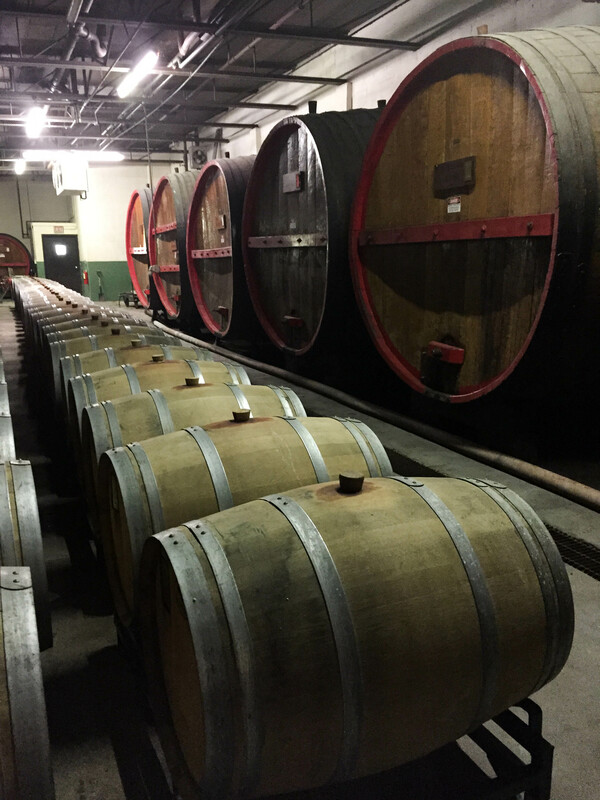 Pleasant Valley Wine Company has the largest plantings of vinifera varieties Chardonnay and Riesling in the East, and they are the largest producer of bottle-fermented Champagne in the eastern United States. 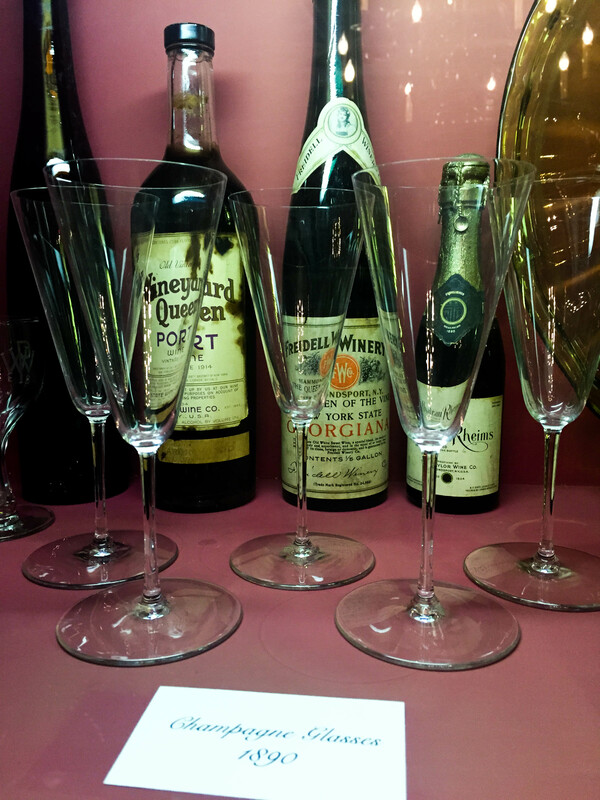 They have also won the most European awards for their American Champagne – now that’s an honor! 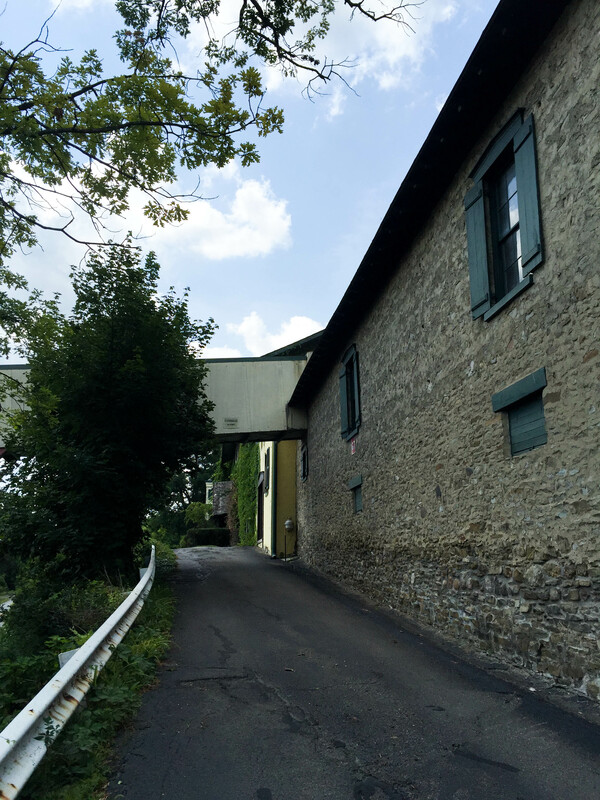 Pleasant Valley Wine Company combines old world and American winemaking with that Finger Lakes joie de vivre. 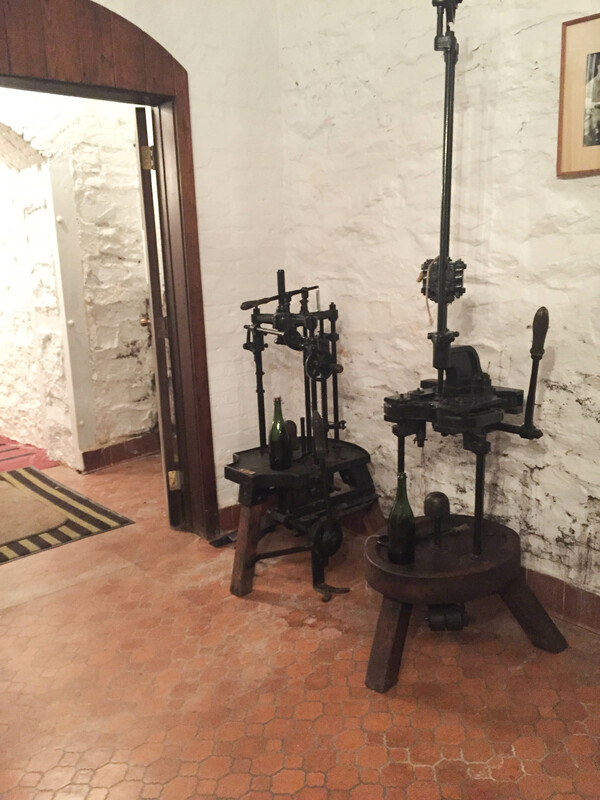 I am ever grateful for Mr. Doyle for inviting the whole family to experience this amazing and historical winery. Not only that, it was a delight to spend more time with him. He shared history, lessons in winemaking, talked economics with Mike and even offered Mr. N some advice for wooing girls (oye!). We have taken many winery tours throughout the years, but I have to say, nothing comes close to stacking up to this special afternoon. But we still had one more stop. Before we left, Mr. Doyle took us over to one of his lakeside cottages which he personally renovated. 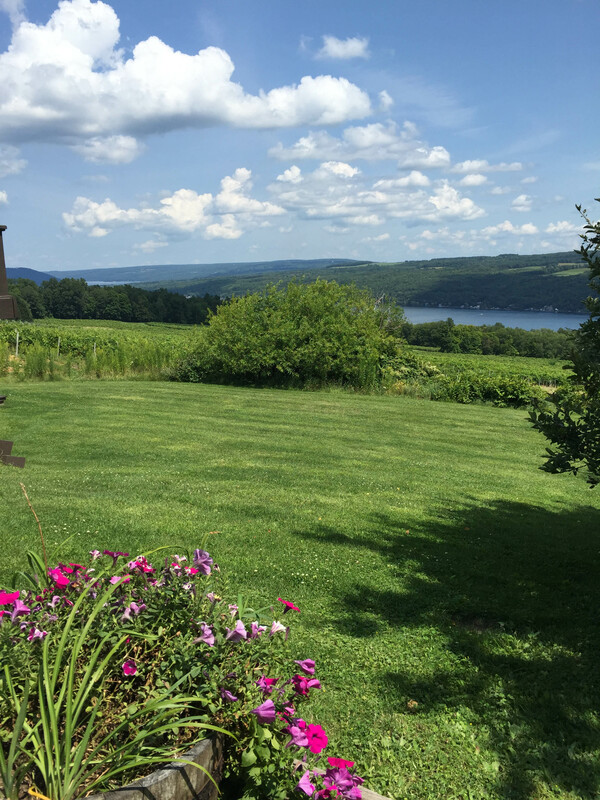 The home has a beautiful great room with a fireplace in the center and a wall of windows overlooking Keuka Lake. It was stunning. I could easily stay in this cottage (although I may not ever leave!). I couldn’t be more grateful for the time we spent with Mr. Doyle and the time he spent sharing his life’s work with us. 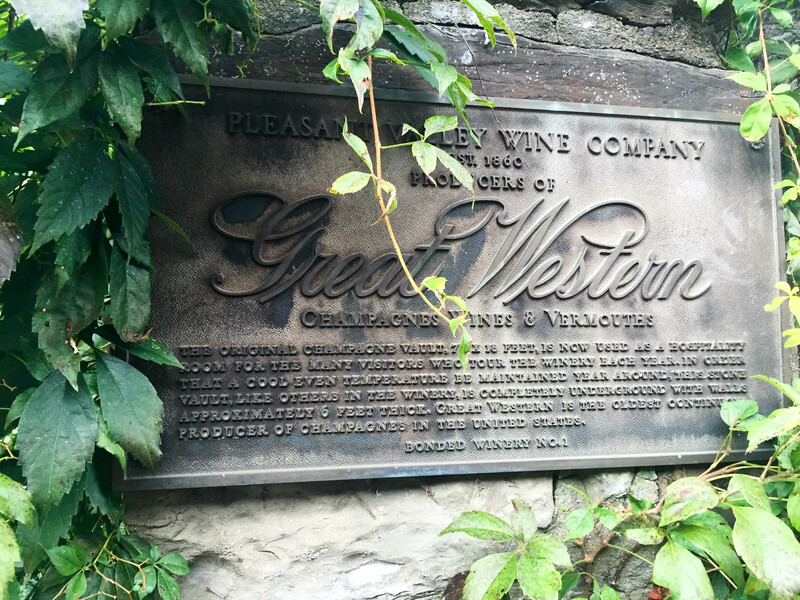 Pleasant Valley Wine Company is historic. It is impressive. It is beautiful. 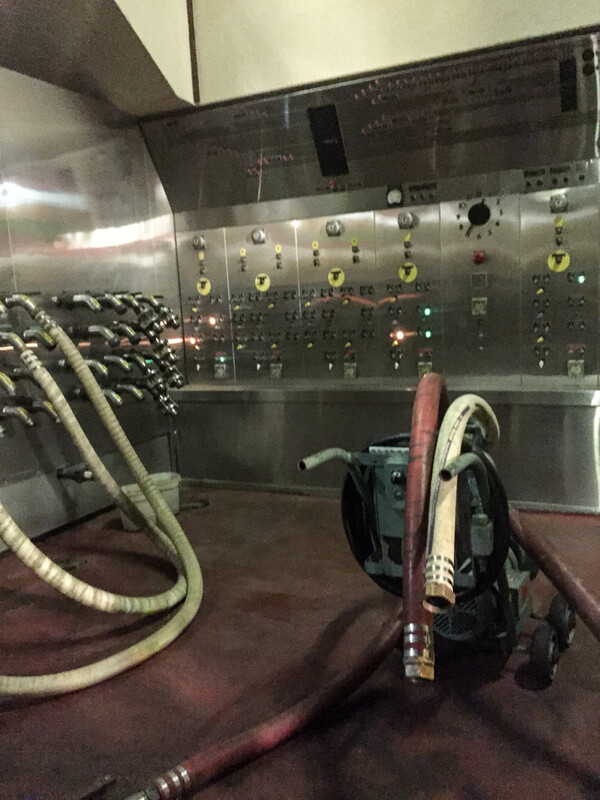 And it makes Champagne! What’s not to like! In truth, the best part of the experience was getting to know Mr. Doyle. I enjoyed our conversations and I very much appreciated his hospitality. Mr. N and Miss A won’t soon forget him either. I think Mr. N is still figuring out how he can go back and play hide and seek! Mike – thank you. It was a pleasure. 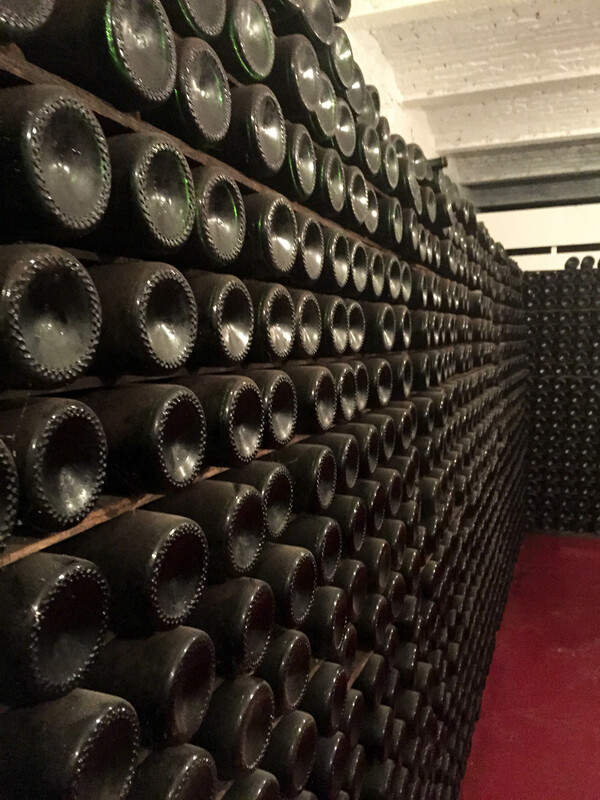 Pleasant Valley Wine Company is a place every wine and Champagne lover should visit – a piece of American history preserved beautifully in time. Pleasant Valley Wine Company and the Great Western Winery Visitor Center is open year-round Tuesday through Saturday, January through March from 10 a.m. to 4 p.m., and daily April through December from 10 a.m. to 5 p.m.
We live approximately 7 miles from this winery. Mr. Doyle is the most gracious host. We were able to have our son’s rehearsal dinner in the tasting room last fall as well as being able to use the guest house (lake cottage) for the bride and her wedding party. Being able to host this dinner in this magnificent facility set the tone for the wedding festivities. Mr. Doyle made an appearance and graced us with stories and special wine and champagne. I hope you were able to taste the Millennium Champagne. It is a favorite in our house. He is constantly giving back to the community. We are very fortunate to have Mr. Doyle in our community. I did have a glass of the Millennium Champagne! It is wonderful! What a beautiful dinner that had to be and I have no doubt Mike’s stories were perfect and made everyone smile. I am so lucky and thankful to have met him. It does not surprise me in the least that he continually gives back to the community! Thank you for sharing Rosalie. 🙂 You live in a beautiful slice of the world! Great post Kristy, thanks for taking us on the tour. 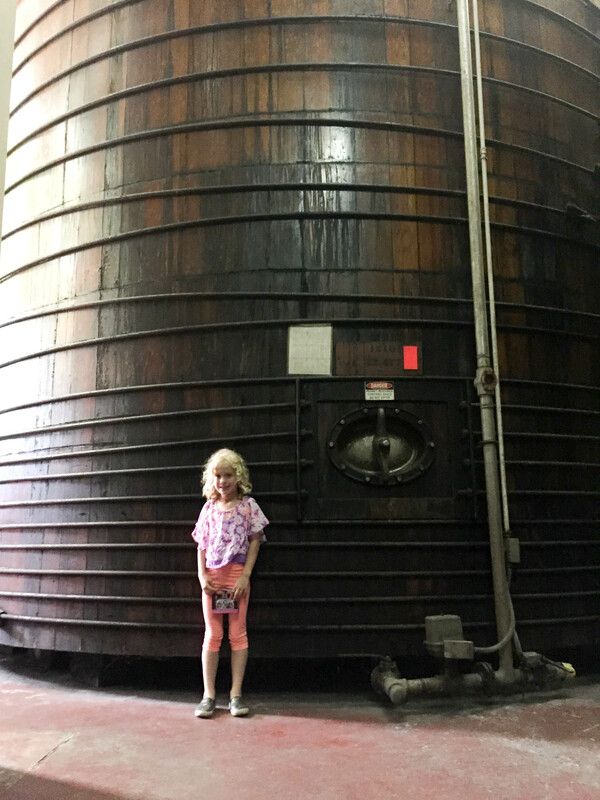 What a beautiful winery and how thrilling that you, Mike and the kids got a personal tour! I best the aging rooms smelled amazing. I had always thought that the only sparkling wines allowed to be called champagne had to be from the Champagne region in France. It must be delicious champagne to have one so many awards. Reckon I could live there. Have a beautiful week Kristy. Love this post! Mr. Doyle reminds me of someone — Pops! This sounds like a wonderful experience and what a privilege!